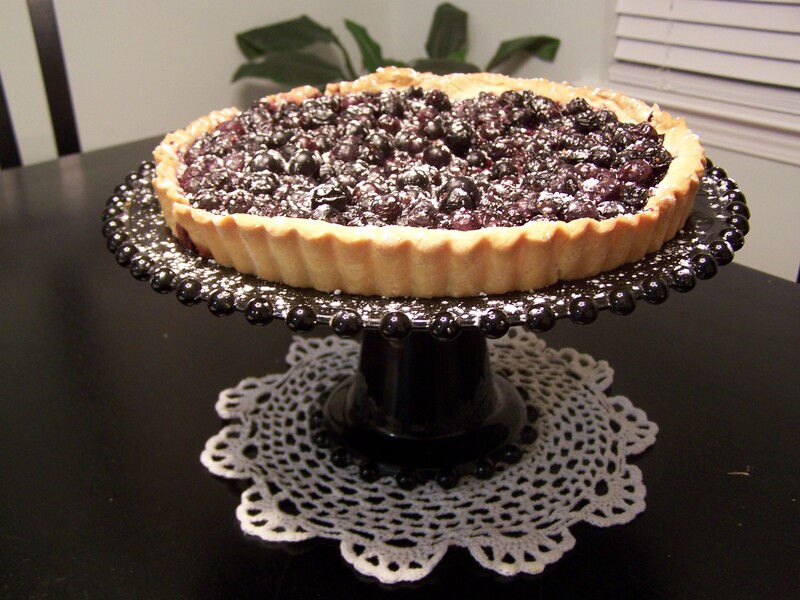 I’ve always loved the concept of a tart. I think it’s the ease of preparation that appeals to me. 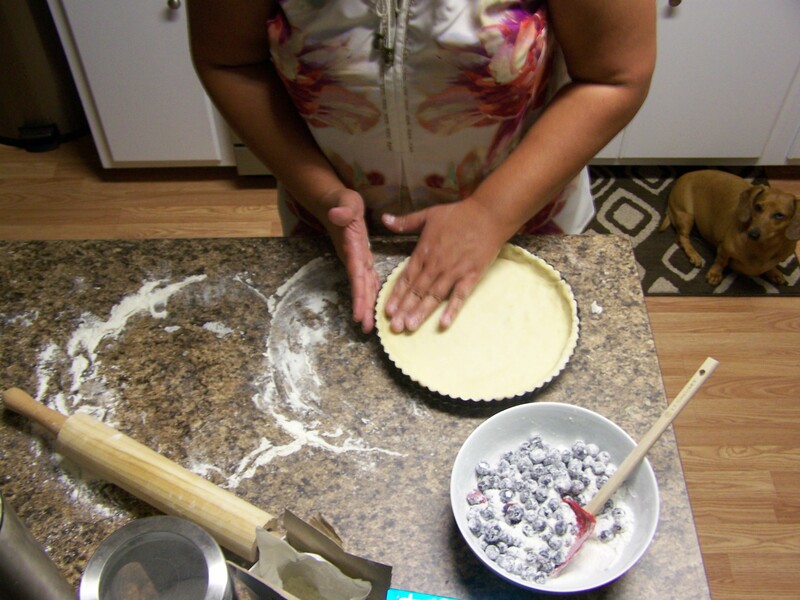 The idea that you can whip up a pastry base and fill it with anything you like, whether sweet or savory is just exciting, and the ridges–I can’t get over the ridges. Any combination of summer fruit will make a beautiful tart. 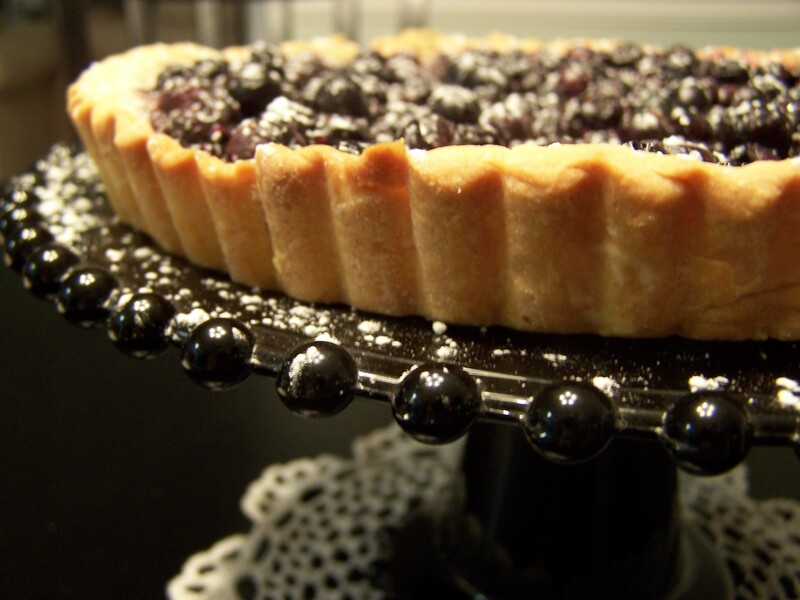 This buttery, comforting blueberry tart was inspired by The New York Times Dining & Wine Recipes of Summer Fruit. 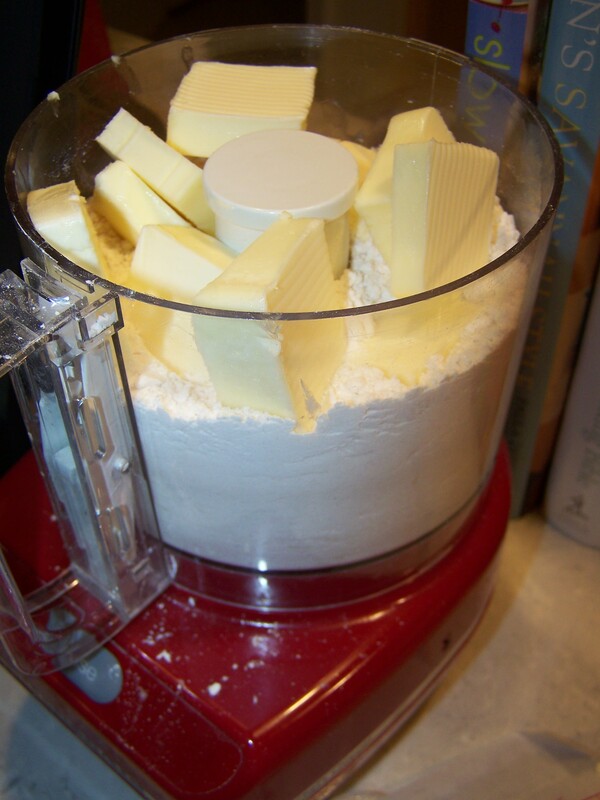 It all starts by combining your dry ingredients with cold butter, egg yolks and ice water. 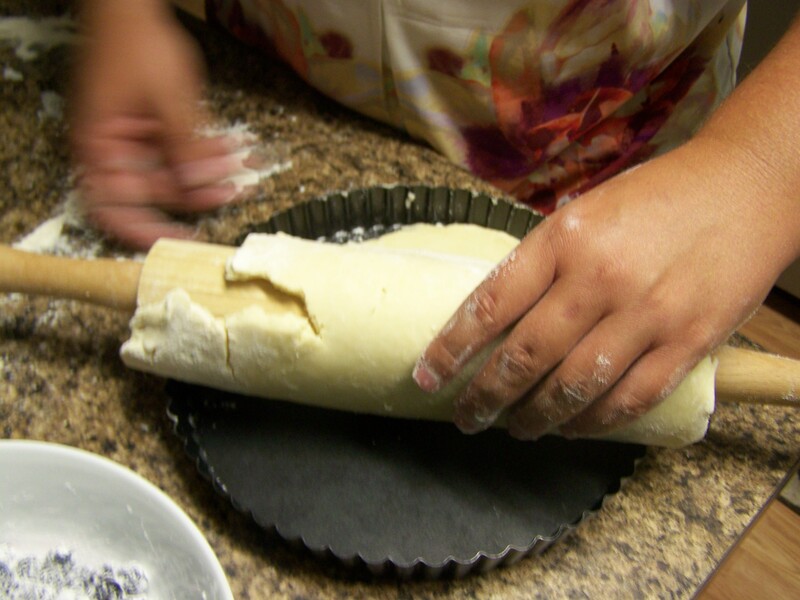 It’s important that the butter is cold, so your dough comes together in the right consistency. …one big sticky mess! Just keepin’ it real. 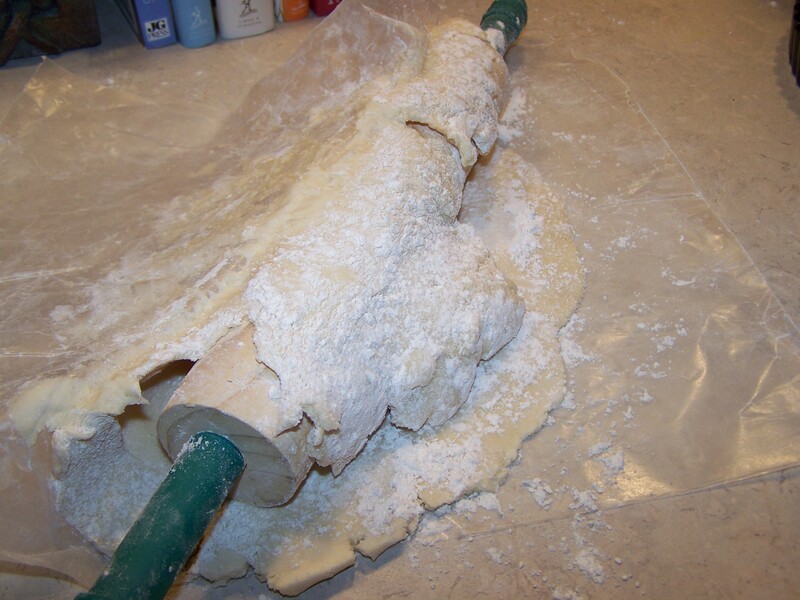 After 30 minutes in the freezer, my dough was firm on the outside, but once I began to roll it out, it stuck to the rolling-pin and the plastic wrap. 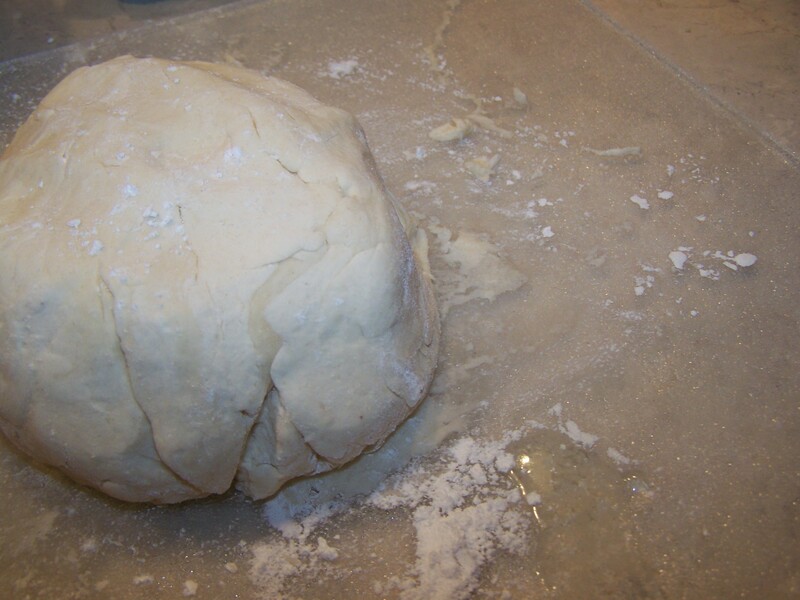 I formed it back into a ball, and refrigerated it overnight. It just needed to “chill” a little longer. Don’t we all? You’ll want to roll it out to be a little bigger than your tart pan. 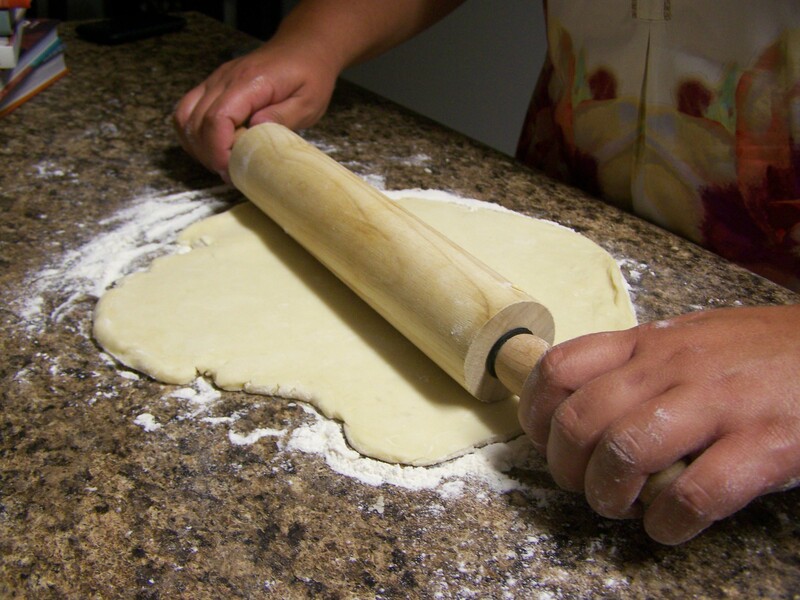 The rolling-pin provides a nice vehicle for transferring the dough and keeps everything from falling apart. 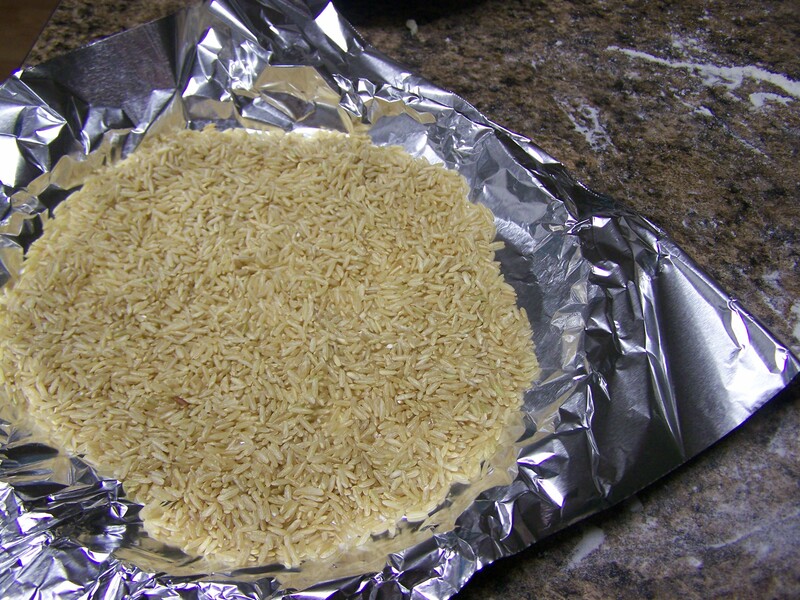 Cover the crust with aluminum foil, then weight it down with dried beans or rice. 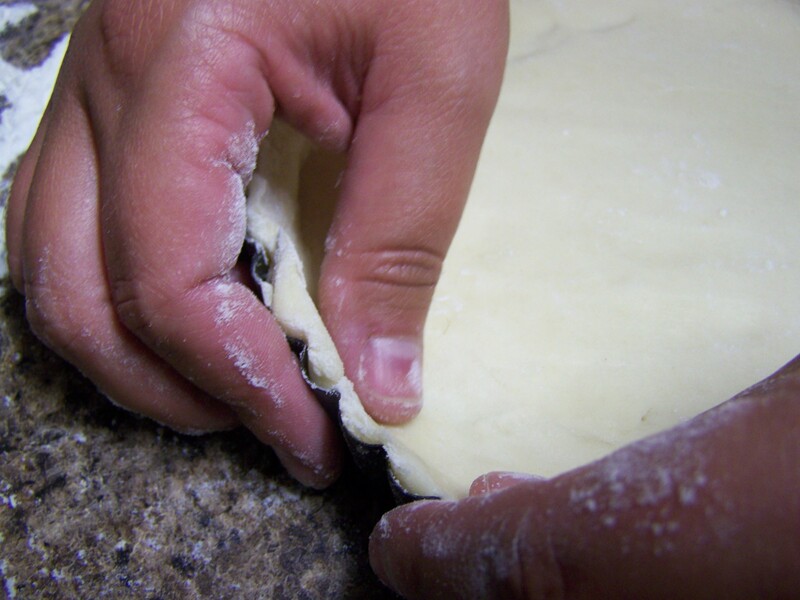 It may seem strange, but it’ll keep the center of the dough from puffing up while cooking. Bake for 15 minutes at 425 degrees. When the crust comes out of the oven, it’ll still be pale, but not raw. It’s ready for the filling! 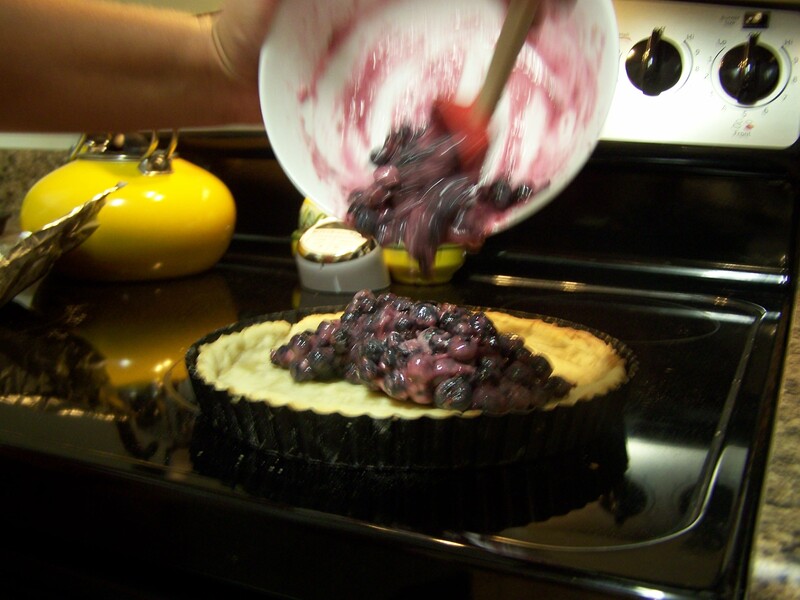 Pile the blueberry mixture into the crust, then top with the remaining blueberries you reserved. Adjust the oven’s temperature to 350 degrees and bake for 30 minutes. A friend gave me these blueberries, farmed in Baxley, Georgia. The tart bakes up beautifully and bubbly. You can serve it with whipped cream, cool whip, ice cream…the options are endless. A little dusting of powdered sugar and it comes to life! Look closely at the full blueberries compared to the ones that were crushed…great texture. Those ridges are just gorgeous. 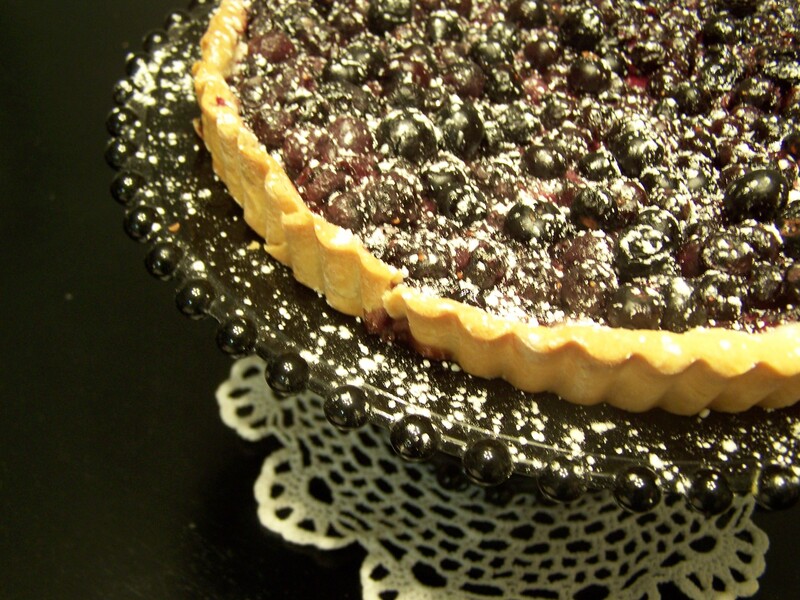 The crust tastes so buttery and flaky, and the blueberries burst with sweetness in your mouth. Serve it warm with a side of cold vanilla ice cream. The temperature difference does it for me every time! This recipe is a definite keeper. 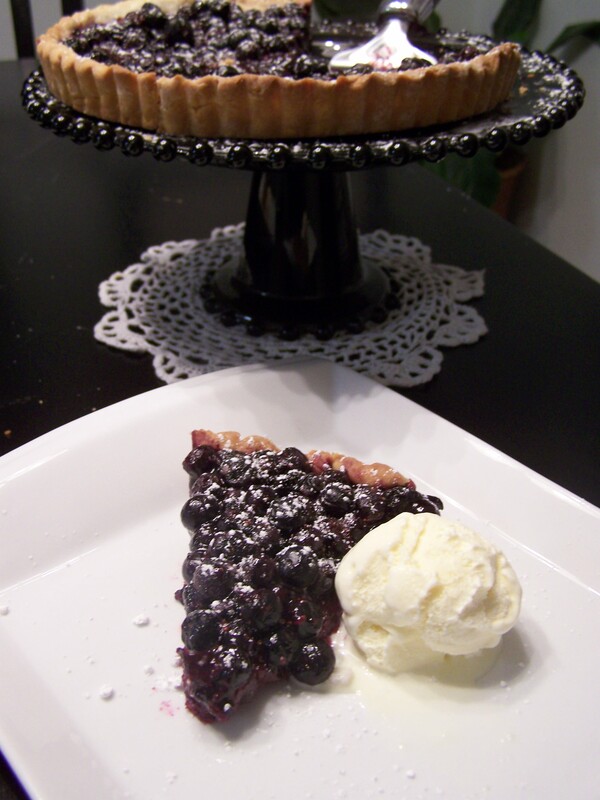 Visit the Georgia Blueberry Commission website for more recipe ideas! How do you eat blueberries?